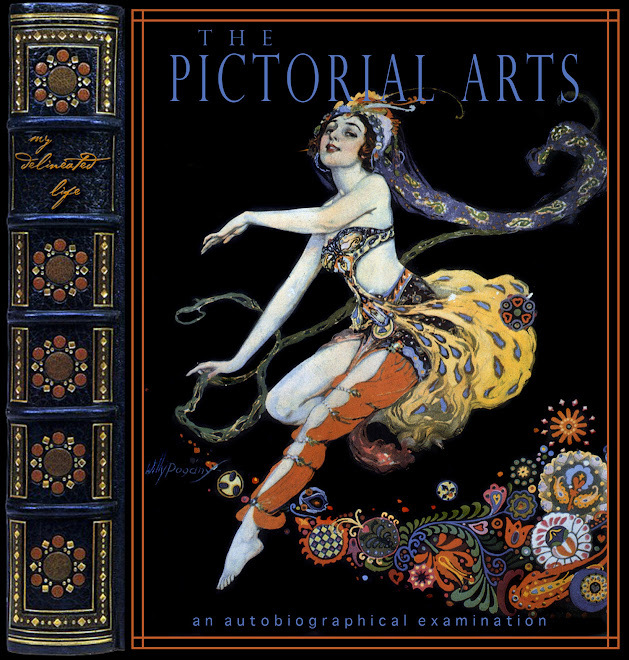 The Pictorial Arts: Extra! Extra! It's amazing how the 'new and improved', 'stream-lined' blogger interface won't allow me to post an image 'big' size, like I've been doing for 4 years now, without cutting off an edge in the main viewer. If you click on the image though, you'll see it larger, without any cutting off shenanigans. 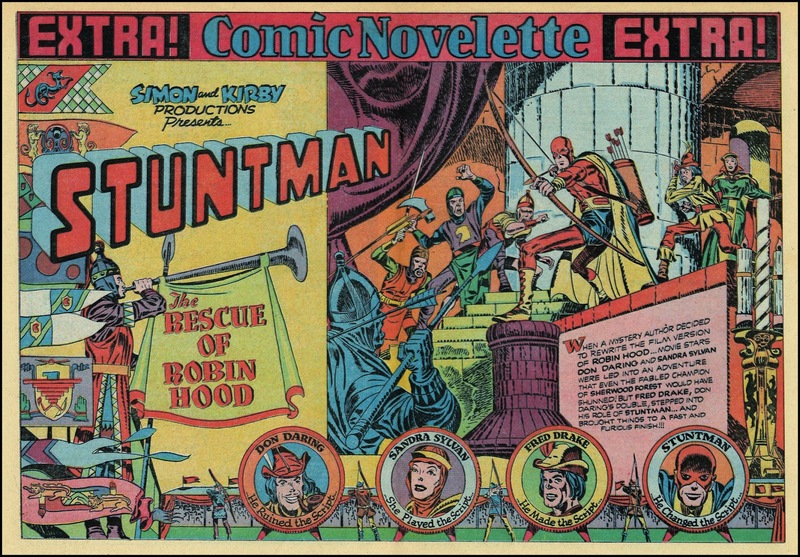 I remember first reading "Stuntman" in that Simon and Kirby Hardcover they printed a couple years back and scanned this very image into my computer minutes after I first saw it. Its just such a beautiful thing to look at! Its a two page spread done up in the style of a movie theater lobby card. 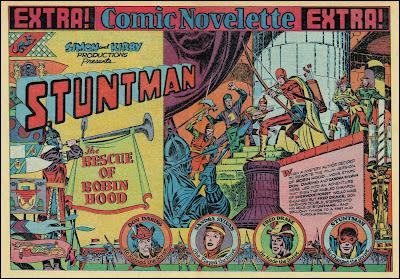 It shows us the story, the cast, and the title page on par with Will Eisner's Spirit Title Pages. Hi Thom, You may be able to go to your layout and widen your post width. If you try, you will want to save a copy of your layout first. Otherwise, you'll have to publish your images as medium or small when they are in landscape, to avoid the cutoff. Good luck! Thanks Annie. When I get a few extra minutes, I'll give that a try. Kirby goodness. Cannot be UNimproved! If You Can Read This . . .